Celina's frame tent provides a generous amount of space for your special event and does not require any center poles or supports. The poles that are included in this kit are made from a durable aluminum. 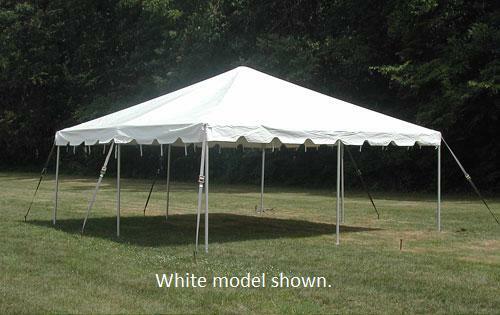 Features include 95% of the tent top being bonded with heat sealed construction, reinforcement patches at the crowns, a polyester side curtain rope, scalloped valances with vinyl binding, all the required stakes and ratchets, and simple user-friendly instructions for easy assembly.